31-W Insulation provides the home insulation products and installation services you need if you’re looking to make your Columbus-area home as resistant to heat transfer as possible. We can handle all types of insulation projects, from insulating a brand-new home to installing insulation for a home addition. We also serve both homeowners and residential contractors alike. Our company has become one of the top insulation providers in the country since our founding in 1972, and we’ll complete your entire insulation project with world-class customer service at every stage of the process. Why Choose Insulation form 31-W Insulation? 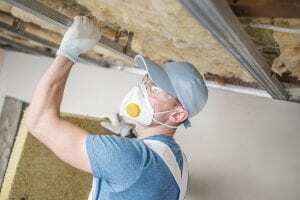 You can be sure that your insulation will be properly installed as well. We only send our own highly trained professionals to complete jobs and never use subcontractors. While they’re at your home, they will treat you and your home or project with the utmost respect. Don’t wait any longer to get first-rate home insulation for your residence or residential project in the Columbus area. Contact 31-W Insulation today to schedule your consultation.